The Annetta Weatherhead Fund established by Catherine and Todd Alexander will be used to provide summer camp scholarships and funding for programs that benefit students with the greatest need. A Portland couple have contributed $15,000 toward a fund that will benefit Reiche Elementary School students. Catherine and Todd Alexander established the Annetta Weatherhead Fund, Portland Public Schools said in a news release Wednesday. 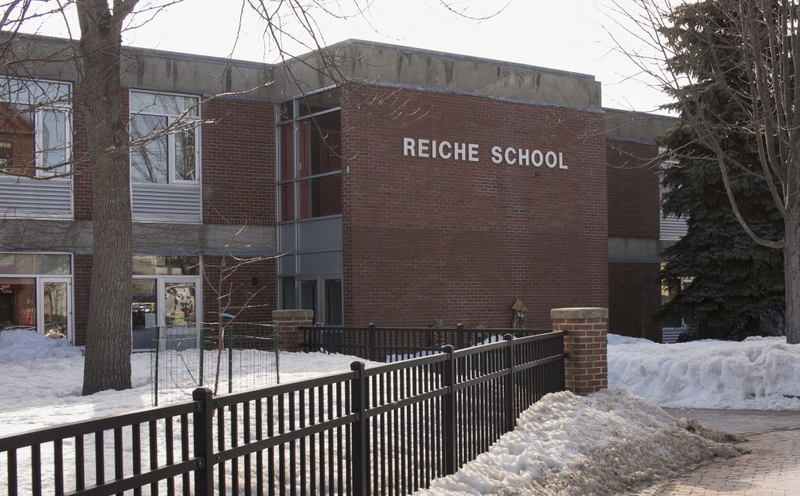 Reiche Elementary School in Portland's West End. “The fund is named for Annetta Weatherhead, a current staff member at Reiche with decades of involvement at the school, who epitomizes the underlying spirit and intent of the fund – a daily all-in, whatever-it-takes approach to support the school and student success,” the district said. The money will be used to offer scholarships to pay for or offset the cost of attendance to the Maine School of Science and Mathematics summer camp, as well as providing discretionary funding for teachers to use on school-based programs that benefit students of greatest need, such as those with developmental or physical disabilities or limited English language skills. Decisions about how the funds will be used will be made by a team of Reiche teachers, PTO leaders and by Weatherhead, who is employed as an ed tech, according to the school’s staff directory. The Alexanders have three children enrolled in Portland public schools.